A prize of 2000 pounds had been set for the first person to successfully cross the Australian continent from south to north. Although this was a large sum at the time, only two men set out to try and receive it. One of them was John McDouall Stuart. The other was Robert O'Hara Burke. Burke was chosen to lead the expedition by the Royal Society of Victoria, which hoped to beat Stuart, who was supported by South Australia. It became the great race. The Victorian expedition would be the best-outfitted and most expensive expedition of its kind. Camels were imported from India. 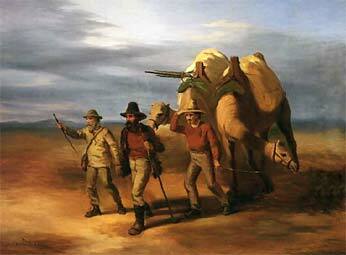 The expedition set out from Melbourne on August 21, 1860, and three months later, burdened by some 20 tons of equipment reached Menindee, at the frontier of the known world, where second in command George Landell, the expedition’s flamboyant camel master left after a disagreement with Burke. Young William Wills, expedition surveyor and scientist took his place. Burke split up the group, eight men among which Burke himself would push on to Cooper's Creek, while the rest would remain in Menindee. After arrival at Cooper's Creek, Burke sent Wright back to get the rest of the expedition. Burke grew impatient waiting under the coolabahs, and although Wright had not yet returned, on December 16, Burke, Wills, John King and Charlie Gray left Cooper's Creek for their trek to the Gulf of Carpentaria. William Brahe was left behind at the camp, and told that they expected to return in three months. They made excellent progress north, and on 9 February 1861 they reached the delta of the Flinders River, where they were close enough to notice the tide and ascertain its closeness. The voyage back was extremely wet, and they had problems continuing because of heavy rains and lightning storms. They were short of provisions and Burke assaulted Gray when he was caught stealing provision. Grey grew ill, although the others thought he was just pretending, and he died of suspected dysentery on April 17 probably at Lake Massacre. On April 21 they reached the Cooper. Unfortunately, they found it deserted. Wright and his extra supplies had never arrived, and Brahe, having waited one month longer than the three he had been told to, had left the camp just eight hours before they arrived. The day that had been spent burying Gray had proved fatal. 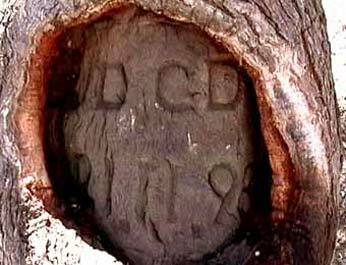 Brahe buried some supplies in case they would come back beneath the now famous dig tree. Wills and King wanted to try to overtake Brahe, who was only miles away from them, but Burke decided against it. They and their camels were much weakened and it would be impossible Instead they would try to reach Mount Hopeless, the nearest outpost of civilization, some 300 miles south west at the tip of the Flinders Ranges. 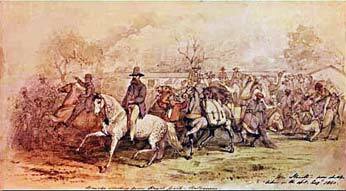 The men set out for the southwest, but found themselves running around in circles. They lived on nardoo, a type of grass seed, and some fish native mammals and birds, but the men grew weaker and the aboriginals that had helped them travelled on. Burke and Wills died of malnutrition in late June 1861, King was cared for by a group of aboriginals until a rescue party found him. Brahe, in the meantime, had met Wright who had finally set out, and returned to Cooper's Creek on 8 May. 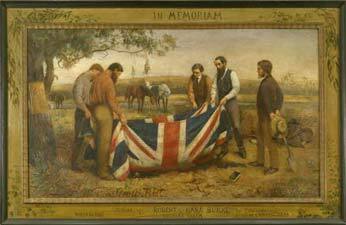 However, Burke, Wills and King had removed all traces of their presence to avoid the aboriginals from removing the note they had written. 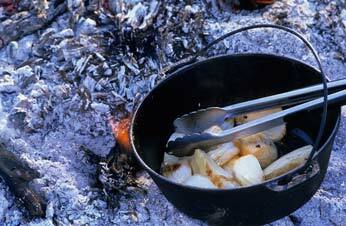 He did not check the provisions he had left behind, and returned convinced that the four men had not been at the camp. Tragically, Burke, Wills and King were only a few miles away at the time. There are many other ironies, theories and mysteries surrounding the Burke and Wills Expedition. Played out like a Victorian pantomime-horror, the expedition still fascinates. In 2018, a convoy of desert equipped four wheel drives vehicles will follow in the footsteps of the expedition, to experience the incredible scenery and better understand the hardships, torment, triumph and despair these brave but ignorant explorers suffered. 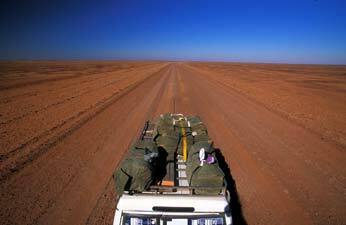 Today, this is one of the truly great Australian expeditions. Melbourne - Swan Hill - Balranald - Lake Mungo -Pooncarie -Menindie - Mootwingie -Milparinka - Depot Glen -Tibooburra - Bulloo Downs - Thargomindah - Innaminka - Coongie Lakes - Walkers Crossing - Birdsville - Bedourie - Boulia - The Monument - Dutchess - Mt. Isa - Riversleigh Fossil Deposit - Lawn Hill Gorge - Burketown - Normanton - Mt Isa.